There is an increased pressure on Americans living in the northeastern states to do their part and help the environment through various recycling programs. Recycling is beneficial in many ways, reducing the amount of trash that ultimately ends up in local landfills, which can pose a variety of threats to our environment. From the cars that we use for transportation in our daily lives to the factories that are out there creating new products for consumers, the more that we can do as individuals to reduce pollution, waste and the depletion of our natural resources, the better. When most people think about recycling, they think about turning in plastic bottles and cans to the local grocery store or cutting up cardboard boxes to go in the recycle bin on trash day. While those are important things that residential home owners can do to reduce the amount of trash that they contribute to the local landfill, it is just the tip of the iceberg. Your local scrap metal recycling center in Westport takes in a lot of different types of scrap metal in Massachusetts, such as iron, steel, aluminum, copper, brass and other common metals. In addition to helping the local environment, when you make an effort to recycle scrap metal, you can also make a profit. In fact, the amount of money that you can get paid for bringing scrap metal to your local scrap metal recycling facility will far outweigh anything you could get from collecting bottles and cans. Some metals are worth more than others, providing a lucrative opportunity for everyone from local residents to professional scrap metal collectors the ability to earn cash for their efforts. Before you can launch a campaign to find scrap metal and recycle it at the local scrap metal recycling center in Westport, it is important to understand exactly what scrap metal is and where you can find it. Scrap metal can be found in the average household and it can also be found at various businesses across many diverse industries. Broken or discarded appliances, such as refrigerators, washers, dryers, dishwashers and air conditioners, as well as kitchen trash, including steel cans, aluminum cans and small appliances, are all common household candidates for folks who want to recycle scrap metal in Massachusetts and the surrounding area. Old frames for doors and windows, shelving units, tools, abandoned vehicles – there are many different sources that can be tapped to recycle scrap metal in the home. Machinery, scrap materials from manufacturing, broken appliances, discarded parts, frames, gates and even tech equipment, such as laptops, desktop computers, printers, fax machines and televisions are all candidates for the local scrap metal recycling facility. Businesses can also recycle scrap metal through recycling efforts in the employee break room, collecting aluminum soda pop cans, steel food cans and other types of scrap metal that is commonly discarded in the office, factory, plant or warehouse. 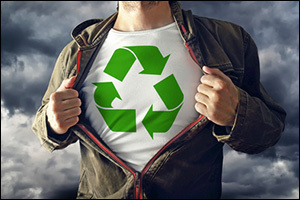 Why Should You Recycle Scrap Metal? When you find scrap metal at the local landfill, there is more at work than just waste of materials that could be melted down and re-used again in some way, but also toxins that can harm the environment. When appliances, such as refrigerators, air conditioners or ice makers are dumped in the landfill, toxins that can come from refrigerants, as well as other objects or materials can quickly pollute the air and soil. This can lead to a contamination of the local drinking water supply by seeping into the ground water for the local area. Leaks found at landfills and junkyards can deplete the ozone layer and eventually lead to dangerous climate changes. Proper and safe handling of these items through regulated recycling at a local scrap metal recycling center in Westport can help to reduce the toxins and chemicals that make their way into the local Massachusetts environment. To learn more about where to find scrap metal or to recycle scrap metal from your home or business to earn money, reduce landfill trash or reduce costs for trash pick-up, contact Mid City Scrap Iron & Salvage in Westport, Massachusetts. This family owned and operated scrap metal recycling facility provides many resources for local residents, businesses and municipalities throughout the South Coast area.